STORM Members will post question and answers and theories to your questions here. Remember: the only people who know everything about the "Other Side"---are already there! The rest of us are just taking educated guesses. Never PAY anyone for paranormal investigation services or for answers to questions about the unknown. Join us as we compare notes, experiment, and investigate instances of unusual occurances. We want to know, and we want to share and network with YOU! What are they and are they evidence of paranormal activity? STORM gets photos and email about "orbs" all the time, and basically we can explain most of these photos as mositure in the air or dust, pollen, or pollutants. However we do not discount "orbs" completely as some other organizations do. There must be stringent measurements and guidelines followed when researching unknown light anomolies and ORB activity. No one knows what all “orbs” are or why they are formed. 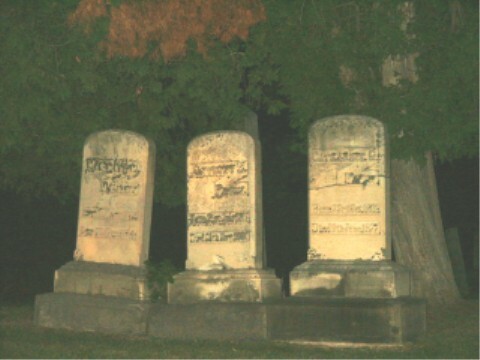 It is commonly agreed that most photos of orbs, especially photos where many orbs appear, can be moisture in the air that is picked up and reflected by the flash of the camera. It can also be really miniscule bits of dust that can only be seen when a flash of light reflects off of it. It can also be dust mites, gnats, “no-see-ums” or other types of bugs in the air. Digital photography picks up orbs and light anomolies much more often than traditional film cameras. Light reflections - especailly off of light colored clothing or white walls, etc can cause light anomolies, as can camera straps and loose strands of the photographers hair. Are the orbs or strange lights there in one or two photos and not there in others? What were the total conditions of the location you were in? Was there dust, had the grass recently been cut, were there bugs? --Even tiny noseums or gnats (especially when they are flying around in a big cloud of tiny insects!) can show up like orbs. Question everything: What was the humidity, had it rained recently, was there mist from your breath, what was the temperature and dew point that night, were there other sources of light, were there electrical energy coming from anywhere nearby, what kind of landscape was there – was there an underground aquifer or a nearby creek, what was the soil condition, was there a dusty landscape? Asking so many questions every time you go can really help you out, and help prove your case for paranormal activity. 4- Look at comparisons of all other factors and see if there is anything to “back up” the idea that what you captured (orb photos in this case) may be paranormal. Can it be explained away by any logical means? In most cases, yes it can. But if you also have other circumstantial evidence at the same time it can help to document your case. Were there temperature changes recorded -cold or hot spots at the same time? Backup measurements are evidence to support your claims. Did you check for electromagnetic fields – was there a drop in pressure? Did you have any sensory experiences such as sounds or smells or sights? 5- Do not discount feelings and intuitions. Did you have any sensory “feelings” at the same time? Most groups do not consider or use any type of spiritual or psychic “feelings.” STORM will be glad to hear about your perceptions and feelings, we just cannot count them as “evidence.” Think about what else you have to back up your orb or light anomoly photos, and about how can you get back up evidence next time you go out. So- now that we have dashed your hopes of having caught something “paranormal” – lets talk about what orbs and light anomalies may sometimes be. We often find light anomalies in places where we investigate. Most of the time – they are completely explainable. But sometimes they are unexplainable and have some back up evidence. Most of the pictures sent to STORM are photos of massive clouds of orbs in a cemetery or field at night. these almost always can be explained as moisture in the air, and most groups would completely discount them immediately. Sometimes we have been to places which just felt “spooky” and we have gotten photos like this. While we have to say they can be explained away and cannot be used as evidence, we realize that they could be a sign of energy. PARANORMAL STUDY IS A BOUNDLESS FIELD OF RESEARCH, AND EVERYONE HAS THEIR OWN IDEAS. We suggest you read, research, investigate, listen to others, and form your own opinions. Keep an open mind about every possibility. SO!!! Our best advice: get backup for your photos. Measure everything, use every sense in your body that you are aware of and others that you aren’t. Write everything down. Always try to rule out every logical possibility that your evidence may be, and then look at what you are left with. Most of the time we can explain all “activity” away logically, but sometimes… sometimes… sometimes there is just no explaining what we experience, and no explaining some of the evidence we have documented. We leave opinions up to you.